John Chaplin and Sarah Jones Meredith, born in England circa 1804, emigrated to Bathurst Township circa 1832 according to the 1842 census. In 1851-2 their family are listed as Dina b. 1833 (1833-1886), Henry b. 1835 (1835-1917), Matthew, who was probably Martha, b. 1837 (1837-1908), James b. 1839 (1839-1893) and John b. 1843 (1841-1891). 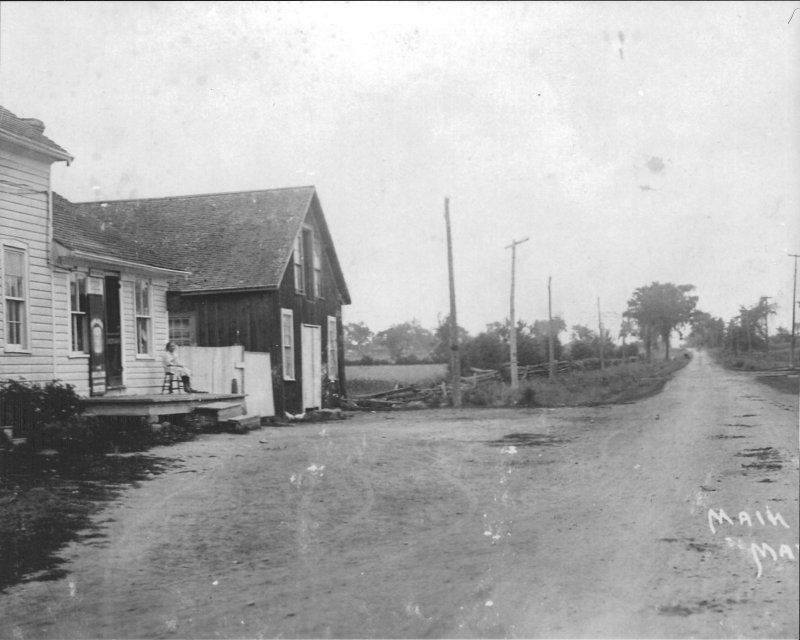 As the year was often rounded up Dina may have been born in England, as is noted elsewhere, prior to departure to their new home, on Bathurst Twp. Concession 2 Lot 16 west. In 1842 it is suggested that two other children living with the family are noted as having been born in England as well. Henry Chaplin, born 20 July 1835, Montreal Quebec married Margaret B. “Martha” McKay, born 4 Oct 1835, daughter of David Daniel McKay and Amelia “Martha” Wrathall of North Elmsley, my first cousin 4 times (generations) removed about 1858. Their children were Dinah 1860, John 1862, Henry 1866, David 1869, Daniel 1870, Sarah 1871, Martha 1878 and Herbert 1882. In 1871 he is listed as a farmer. The Chaplin-Webber house at Glen Tay, once known as Manion. Daniel Fredrick “Alfred” Chaplin, born 18 Sep 1870, married twice. On 3 August 1892 he married Rachel Finn, daughter of James Finn and Janet McDonald of North Elmsley township. They had five children, Martha 1894, Henry 1895, Ross 1898, James 1902 and Gladys 1902. Rachel died after giving birth to the twins. Alfred remarried in 1903 and his second wife was Sarah Giles born 1873, daughter of Robert Giles and Amelia Willis of Ramsay township. Their children were Olive 1905 and Pearl 1914. In 1921, Alfred is listed as a painter. Gladys, one of the twins was adopted and raised by John Chaplin and Harriet Cameron, a brother of Alfred, along with their sons Henry and Delbert. Delbert would later marry my grandfather’s sister. Nick and Olive Webber, first posted by Kenn G. Chaplin. I remember them well. Olive Chaplin, born 1905 married Reginald “Nick” Webber, in 1926. He was born in England in 1887. 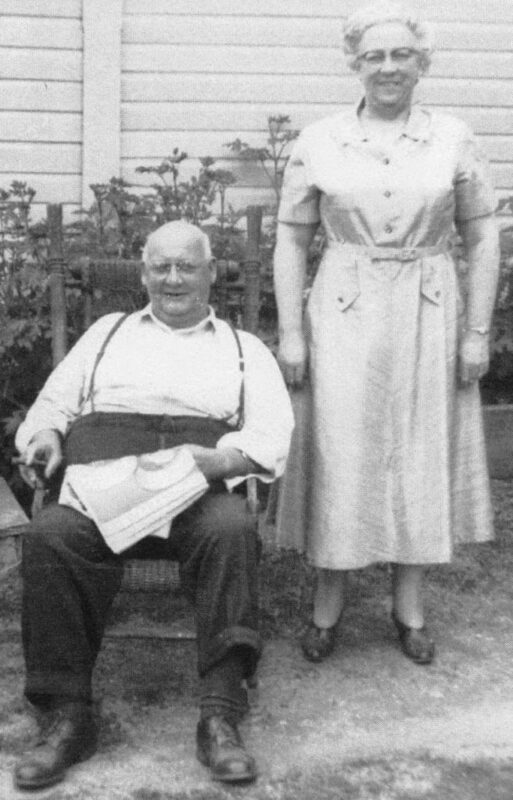 Their son Nicholas Webber, (1828-2015) 4th cousin once removed, married Doreen Thompson (1925-2012). When I was walking to and from the Glen Tay School, I would often stop at the Chaplin store for ‘black balls’ or double-bubble gum. They were my favorites of the candies stored under a dome of glass in the store. I can still hear the ring of he bell that rang as the door opened to summons either Pearl or Olive to the store.